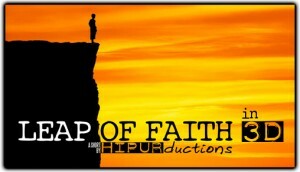 HIPURductions » Leap of Faith in 2D and 3D Available NOW! Leap of Faith in 2D and 3D Available NOW! We have been working on Leap of Faith for 1.5 years on and off. We’re very excited to show it to you today!! If you like it, subscribe or like our facebook page, we’d appreciate it. Thank you for your consideration. © 2011 LLC All Rights Reserved.